New to digital scrapbooking? Never downloaded a digital kit before? What in the world are .rar files anyway? Get your answers here: How to Unzip Files So You Can Digi Scrap. (Also applies to any compressed files). Backstory on this kit is pretty simple. Go here to see the cake I made for Aubrey's 3rd birthday. Aubrey has taken to bringing her purse along when we go places. She has her coin purse in it and a toy cell phone. She pretends to talk to people and tells us often, "Be quiet. I'm on the phone." I can't imagine where she might have heard that one. This kit is going to come in handy, I'm thinking. I still want to do a layout of the pictures of the cake, but I couldn't resist Aubrey's cute smile, so I had to do these first. Thank you so much for this post. 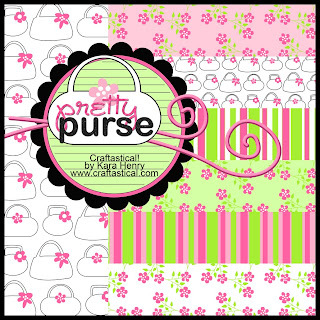 I want to let you know that I posted a link to your blog in CBH Digital Scrapbooking Freebies, under the Page 10 post on Jun. 22, 2010. Thanks again. Thank you so much for this post. I want to let you know that I posted a link to your blog in CBH Digital Scrapbooking Freebies, under the Page 12 post on Jun. 22, 2010. Thanks again.